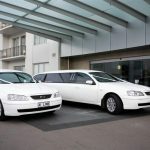 Based in Tauranga, New Zealand specialising in Luxury Limousine hire for school balls, weddings and events. 2018 Luxury Coach for School Balls and Formal Events. 19 Passenger Capacity.